Leaping firewalls in a single bound. Many people have heard of proxy servers, or proxies, and quite a few know that you can use a proxy server to navigate the internet without leaving breadcrumbs for others to follow or perhaps you’ve only heard about proxies in terms of bypassing the firewall at school or work. Both are valid uses for proxies, but by no means the only ways that proxies can be useful. A proxy is a middleman you can use to be anonymous as you search or use the internet. It is a way to do many things, but chief among the reasons you may use a proxy server is when you have been subjected to an IP block. If, for example, you were kicked off a gaming server and the server blocks your IP, you may be able to log back in using a proxy server to sort out the issue with customer service or handle any other similar issues that arise. A use we can all enjoy is the ability of the proxy server to block cookies. Cookies are the little breadcrumbs that are left by websites so when you log back into the site, it “remembers” you and your habits – which makes for rather annoying marketing efforts. 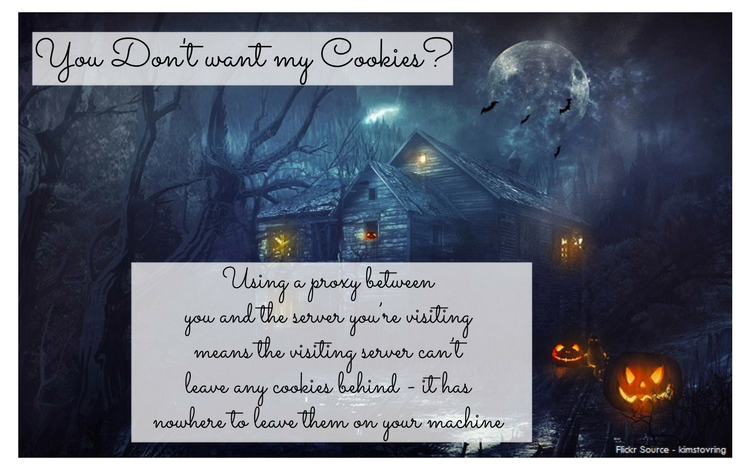 Using a proxy between you and the server you’re visiting means the visiting server can’t leave any cookies behind – it has nowhere to leave them on your machine. So every visit you make is a fresh visit. 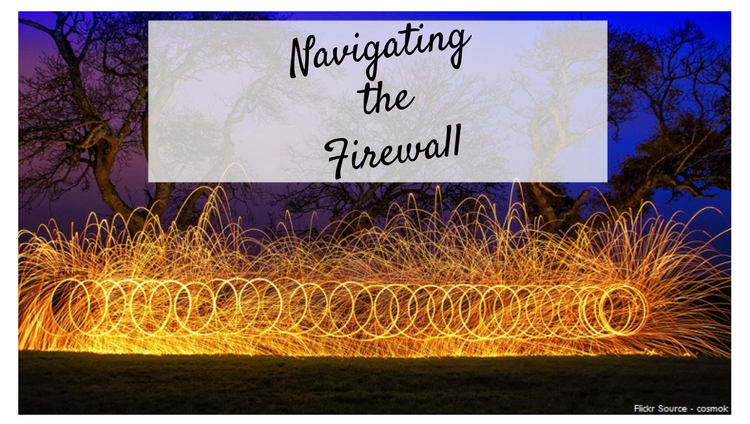 While a firewall is a very useful feature to protect us from ourselves or from outsiders are work or school, sometimes the firewall is too broad and blocks websites we actually need to access. Likewise if you are logging onto your work accounts from home you may need to go through a proxy server provided by your company to effectively navigate the firewall issue and reach the areas you’re trying to reach. There are some extra features you can expect from your proxy server in addition to providing you with a protective cloak. The proxy website can also compress your traffic to save you bandwidth. This allows for faster load times and shorter waits while you navigate websites and download various programs and media. The proxy server can also cache websites for you to improve the load time even more. By saving certain files from the websites you visit through the proxy, the sites have less to do when they load and you can enjoy them that much faster while still remaining protected behind the proxy server. Not only can you block the annoying cookies that websites leave behind, with a proxy server you can also block all of the ads that result from that breadcrumb trail of previous searches. Even if you already have blocked all of your cookies, you can still block all of the ads that remain, albeit untargeted, on the websites. No cookies, no tracking, no ads. Why not use a proxy? A proxy server is often a way we think of bypassing filters. It can actually be used as a filter in its own right. When you search and explore using a proxy server, you can effectively block malware and spyware as well because it can’t get through that proxy back to your own machine. Granted there are still plenty of ways to make mistakes online, so you have to do your work to be safe as well, but that proxy server will do a bit to help you along the way. A proxy server may allow you greater entertainment options than you’d expect. That proxy server isn’t going to get you access to websites with paid memberships and such, but it will allow you to visit and search international or regional websites as a native if you want quality programing directly from the source. Just find a proxy in the right geographic area and suddenly you appear to be Australian. Or Canadian. Or American. At least online. If you use an internet service that tailors your material and blocks certain things on your behalf, you can easily skip the tailoring by searching through a proxy. This is true as well with search engine results that are tailored through your previous searches. 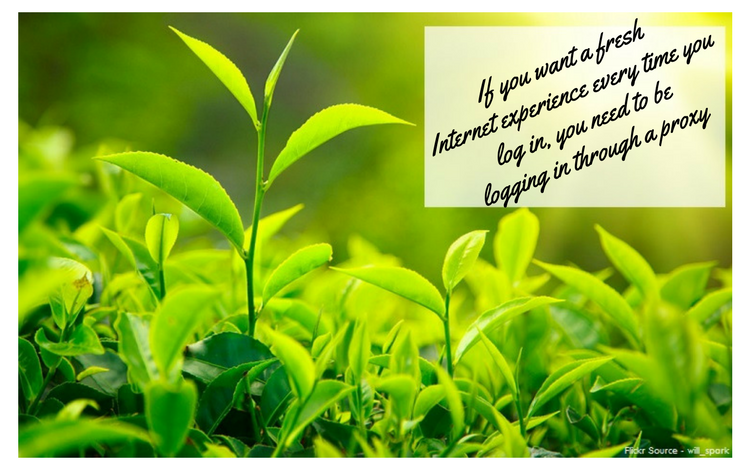 If you want a fresh internet experience every time you log in, you need to be logging in through a proxy. Just like you can watch entertainment across international lines, with a proxy server you can shop internationally as well. If you are buying material goods you will still have to deal with shipping and figure out a domestic address to send your purchases made through a domestic proxy, but you have many more options when you’re buying things that are downloads rather than physical. Buy downloads of games or music or media while it is on sale elsewhere or just take advantage of exchange rates and enjoy items for less than you’d pay back home…while still sitting at home. Finally, when you use a proxy server you are able to do more on the internet than you might expect or even want to do. Access to the deep web, or the internet that is hidden away from most of the public, should only be accessed through proxy servers simply because there are elements in the deep web you probably don’t want following you back home again. Proxies may not have been designed to hide nefarious deeds, but they can certainly be used for that purpose. Fortunately there are just as many – if not more – good ways and reasons to use a proxy without compromising your ethics and morals. 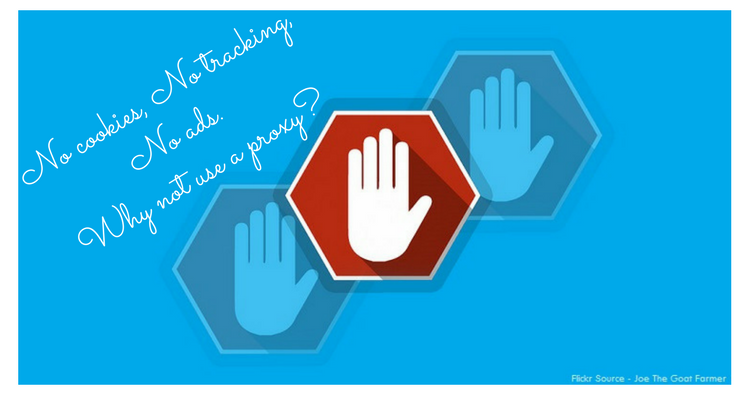 For many of us who hate ads and website tracking, a proxy just makes sense. We did not know many of the listed uses of the proxy servers. Compressing traffic and removing tailoring are particularly interesting stuff that we will explore further. Thanks for sharing these tips! While I don’t really have reason to use proxies, I certainly have some blogging clients who would be interested in this information. 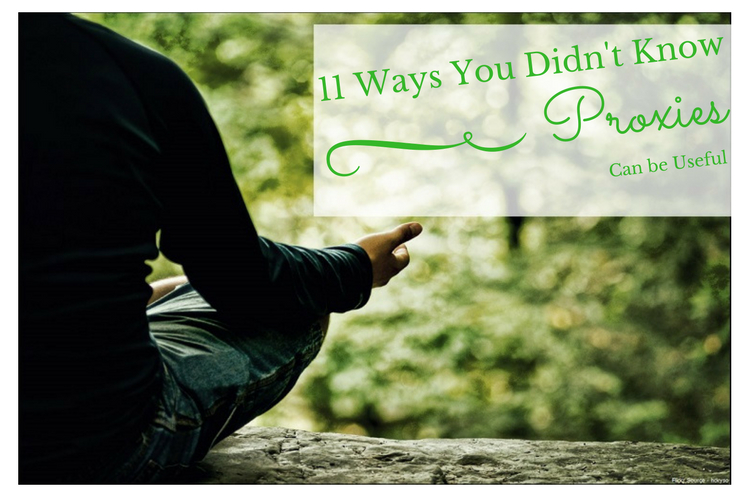 Thanks for sharing so many interesting ways proxies can be used. I love my proxie aka, my VPN. Live with the sucker. Because we travel non stop so when I log in to my Paypal or financially sensitive sites, the I fire up the virtual VPN, connect and log in via a US IP address. Brilliant. Ditto for buying stuff and also for logging in to Netflix or US cable sites. We get caught up on many shows through the good old VPN. Yes Ryan, this days we need to be more careful online. VPN or Proxy is a good tool to protect your privacy and any other personal data . A very interesting article, thanks. I’ve never had need to use a proxy server – or, at least I never thought I did! However, the thought of blocking ads, marketing and malware sounds very useful. I look forward to your proxy server tutorial with interest. Interesting writing, i want to know that can i use them to get traffic on my blog approved with adsense? Is it safe to earn via adsense? If your traffic sources aren’t good, let’s say that they aren’t organic search traffic or valid and reputed referrals – then adsense won’t work. Let us be atleast clear about one things – that you can’t food Google. So best not to try it!